We operate one of the largest VOIP networks in Australia, connecting thousands of businesses and government agencies since 2004. FaktorTel offers the highest quality service, reliability and technology, all at the right price for your business. We provide business grade VOIP services to small, medium, large and corporate businesses as well as government agencies. At FaktorTel we understand that your phones are critical to your business. That’s why we offer a range of FaktorTel BizVOIP plans backed by our robust core network, providing superior uptimes and service from our Australian-based support team. Register online in minutes to make the switch to FaktorTel and join thousands of other Australian businesses who save up to 50% on phone bills! You can call our Australian-based support team between business hours or email us anytime. Test it for yourself by setting up your own account online. Sign-up is easy and you'll be saving with low cost VOIP calls before you know it! Getting your business on VOIP is as easy as 1-2-3! We can port your existing phone numbers from PSTN, ISDN, or other VOIP carriers to you can transition to FaktorTel BizVOIP and start saving. Make your business National at the touch of a button. FaktorTel can provide businesses with Incoming numbers from right across Australia and New Zealand and connect them all to your new business VoIP account with FaktorTel BizVOIP. Specialty 1300 and 1800 numbers are also available. Update your phones with new IP Handsets from FaktorTel. 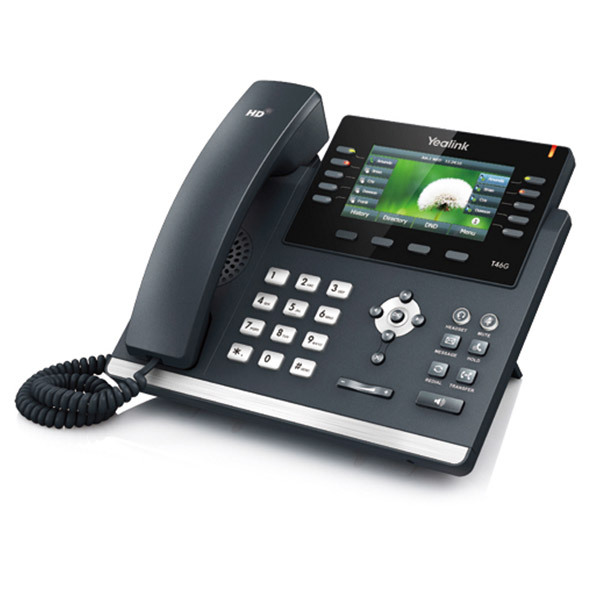 Preconfigured and delivered to your door, all our business phones come ready to Plug and Play. Ready to make the move to FaktorTel Business VOIP? Setup your account online in minutes so you can start saving up to 50% on your phone bills now! What is the voice quality of VoIP? The voice (or call) quality of a broadband telephone call is comparable with that of your standard telephone line. To be certain you receive the best call quality, it is important to have a stable internet connection, and a handset with a good microphone. FaktorTel is one of Australia's leading VOIP companies, allowing customers to make significantly reduced cost phone calls using their broadband internet instead of their regular telephone line. What is required to use the FaktorTel service? 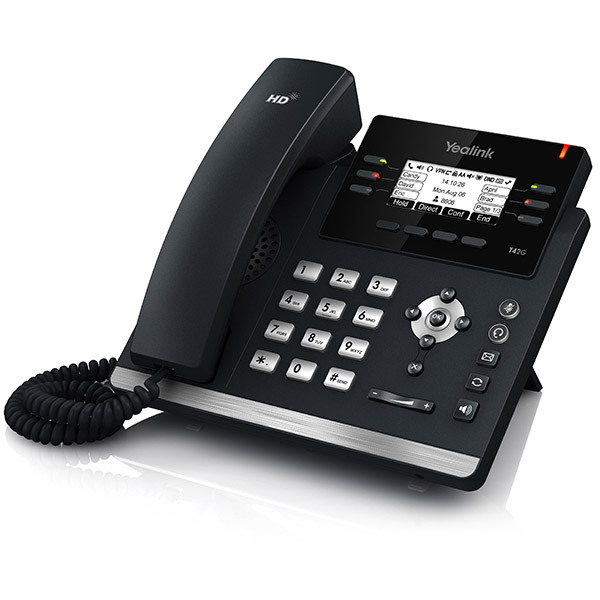 To use the FaktorTel Service you will need a broadband internet connection, and if you have purchased or received a VoIP Box, a spare phone handset for making and receiving calls. Do I need to keep my existing phone service? This depends on what type of broadband connection you have. ADSL broadband requires a telephone line to connect through so you will therefore need to keep your existing phone line. Cable broadband and business Ethernet connections do not require a phone line so you will not need your existing service. You will also not require your existing service if you have Naked ADSL, which is available through some broadband suppliers. If you no longer require the existing phone service but would like to keep your numbers, you are able to port them to FaktorTel's network and use them with your VOIP service. Do people I am calling need to have FaktorTel too? No, you can call anyone from your FaktorTel service. You can make mobile, local, national and international calls from FaktorTel just like a standard telephone service. Yes you can! 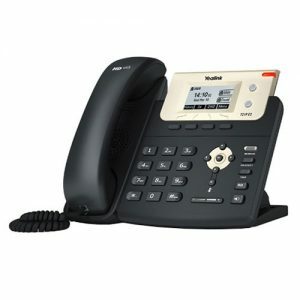 Any normal telephone can be used with a VoIP Converter, so your existing handsets, both corded or cordless, still work. Simply plug your handset into the converter and you can use the handset on VoIP just like you did on your old telephone service. You can purchase a converter from our store, or browse or selection of IP Handsets and upgrade to a new handset. Yes, you are able to keep your existing phone number. More details on Number Porting are available here. Can I get new phone numbers? Yes. Through the FaktorTel Customer Portal you can add new phone numbers to your account, ready to use immediately. What types of phone numbers can I use? Australian geographic (i.e. local) numbers can be ordered from FaktorTel, or ported in to use with your service. These, along with 1300 and 1800 numbers, can be organised through the FaktorTel Customer Portal. Australian 13 numbers (6 digit), along with New Zealand geographic (local), or New Zealand 0800 numbers can be supported on the FaktorTel network by contacting us. You may want additional functionality provided by a phone system you can use FaktorTel BizVOIP with a SIP capable PBX, or switch to a FaktorTel Virtual PBX. Can I use FaktorTel with a dial-up internet connection? No, unfortunately a broadband internet connection is required to use the FaktorTel service. How fast does my internet connection need to be to use FaktorTel? FaktorTel recommends that you allow roughly 100/100Kbps per line in use. This means that if your business has 10 lines, we would recommend you allow roughly 1/1Mbps of bandwidth for voice traffic. Can I use FaktorTel with a Wireless Broadband service? Due to the low bandwidth and instability of many wireless connections, FaktorTel cannot guarantee that a VoIP service will work over a Wireless Broadband network. Your experience may vary, as Wireless Broadband reception differs widely. If you are unsure, we do offer plans on a 1 month term - this gives you the chance to test our services to see if they are right for you. If your internet connection is running over an ADSL connection your phone line may be required. Other connection types (e.g. Naked ADSL, Ethernet over Copper, Fibre Ethernet) do not require a phone line to be in place. VoIP stands for Voice over Internet Protocol, and is the new way to make and receive phone calls. VoIP sends your voice over the internet rather then through the standard telephone network therefore allowing for significantly reduced call rates. Broadband is a general term for different types of high-speed internet including ADSL, NBN, Cable and Wireless. Broadband can carry voice, video and data all at the same time. A DID refers to a Direct In-Dial number, or phone number. This is a number on your FaktorTel account which can be setup to receive calls on, as well as the Caller ID displayed when you make outbound calls. What is a VoIP Converter? A VoIP Converter is a device that changes a phone signal between a traditional phone signal and a digital (VoIP) signal. 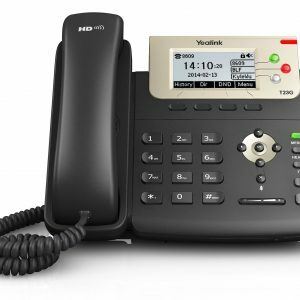 This enables you to make and received VoIP calls on your traditional handset at VoIP rates, rather than being locked-in to using the old telephone network. Simply plug in your regular telephone handset into one side of the VoIP Converter, and plug in your broadband internet connection into the other side, and the device will instantly work as a bridge between your old network and VoIP. Is FaktorTel the same as Skype? No, FaktorTel customers make and receive calls as they normally would using their existing telephone handset. Skype relies on a software phone meaning that you must talk through your computer, using a headset or USB style phone. FaktorTel is an Australian based telecommunications network provider. Skype uses other people's computers and bandwidth to send calls that other people make, with Skype your voice could go anywhere before getting to the requested destination. Can I use my computer while on the phone? Yes, you can use your computer at the same time as making a phone call (or calls) on the FaktorTel Service. Can I send and receive a Fax over the FaktorTel network? You are able to add a 'Fax To Email' service to any of the numbers you have on your FaktorTel account, whether that is a new number we provider or an existing number you port onto our network. This converts inbound faxes to a PDF format, and sends them by email to your desired recipients. This can be setup and managed through our customer portal. Sending faxes (outbound) over VoIP can be possible, though due to codec clashes when these are being connected through other carriers to your desired target, or at the receiving end's fax machine, the reliability of sending faxes with VoIP is not ideal. We recommend against attempting outbound faxing on FaktorTel. Can I bring my own VoIP device to use with FaktorTel? Yes you can. Simply select the ( I have my own Device / Software, and require " NO " additional hardware ) option during the signup process with any of our plans. Will FaktorTel work if I lose power? No. Without backup power generation or UPS batteries in place, your internet service will go offline and therefore sever your connection to FaktorTel until the power is restored and your router/ switches have rebooted. My broadband internet connection uses a USB port can I still use FaktorTel? You can still use FaktorTel but you will need to either purchase an ethernet router to connect the FaktorTel VoIP Converter to or use a Soft Phone instead of a handset. Can I use my FaktorTel VoIP Converter with another provider? VoIP Converters purchased through FaktorTel are setup to work with the FaktorTel network. If you no longer wish to use FaktorTel we will be sad to see you leave, but you will of course have the ability to reconfigure the VoIP Converter you have purchased to work with another network. What is the initial startup cost? FaktorTel has several different packages available, with many available with a $0 setup cost! If you've already got a VoIP Converter, IP Handsets, or are wanting to use a softphone client, this means you can get started without any capital expenditure! Why are FaktorTel calls so cheap? Because your calls through FaktorTel are connecting to our network over an Internet connection, we don't have to charge the outdated prices you see on traditional PSTN and ISDN services. That means we can pass these savings on to our customers so you can stop having to pay outdated call rates to the old telcos. How do you bill me for the service? We send an e-mail invoice on your billing date each month. Your bill is automatically charged to the credit card you provided when you signed up with FaktorTel. Do I need to have a credit card to signup? Yes. We set up your account instantly when you sign up online and provide a credit card. This card will be charged for the fees on your account, and can be updated at any time within our customer portal. If your credit card cannot be processed for any reason you will be notified by email. If after we are unable to make payment your service may be suspended until such time as your account is up to date. As a FaktorTel customer, it is essential that your account details and credit card information are current and accurate at all times. You are able to mange these within the FaktorTel Customer Portal. Standard Australian local or geographic numbers do not have an inbound call charge. Speciality phone numbers, like 1300 and 1800 numbers, do have a charge for incoming calls. More details are available here. Will I be under contract? Most FaktorTel plans are available on either a 1 or 12 month contract option, and you can choose whichever suits you best. For specific information about your service and contract terms, please check the Standard Form of Agreement and Critical Information Summary specific to your service on Our Policies. Can I have multiple phone lines? Yes, your account will have a number of phone lines depending upon the plan you are on. Each line enables one call (in or outbound), with the total number of concurrent calls available on your account being your total number of lines. Can I have multiple phone numbers? Yes, you can add any amount of new numbers, or ported in existing numbers to your account - there are no limits. Yes, you can update your plan at any time by contacting our staff. You can update your credit card details directly within the FaktorTel Customer Portal using our secure payments platform. How do I know if I am in a FaktorTel coverage area? FaktorTel is a national telecommunications company and can provide service to any business around Australia. No matter where you are you will be able to make calls out of your FaktorTel service provided you have a reliable internet connection. Can I use the service overseas and what are the costs? Yes, you can use the service overseas. As the FaktorTel service is delivered over an internet connection you are able to connect from anywhere. However, being an Australian based company our infrastructure and our calls rates are designed for Australian businesses, so connecting from overseas may hinder your service experience. Please note that if you are connecting to FaktorTel from overseas your call rates are the same as if you were to connect from within Australia. This means calls to Australian numbers are at the Local or National rate, and changes to international destinations (even to the country you are in if connecting from overseas) will be charged as an international call. Is a FaktorTel Service and VoIP easy to install? Yes, FaktorTel BizVOIP is very easy to set up. If you have an existing IP PBX (SIP capable) simply direct this to connect to our servers with the authentication details we provide upon signup. FaktorTel Managed Virtual PBX's are set up by our staff based on your requirements, so we'll help you through the process. UnManaged Virtual PBX's require you to set up your phone system yourself, so this can be more challenging for some businesses. To continue using a legacy phone system or handset, you may need a VoIP Converter, which can be purchased from us at sign-up and will come pre-configured. How do I setup my FaktorTel VoIP account? When you sign-up to FaktorTel BizVOIP your account will come pre-configured, and the relevant authentication details will be provided. You can review or manage these details through the FaktorTel Customer Portal at any time. Where is my VoIP hardware delivered to? If you purchase any hardware from FaktorTel these items will be delivered to your nominated address. To follow-up on the status of your order, or confirm you entered the correct delivery address, contact us. I cannot remember my User ID or Password. In the FaktorTel Customer Portal there is a 'forgot password' feature. If you are still unable to recover your account access after trying this, please contact our support team with as much detail of your account as possible so we can verify your identity.